Mission: Connect is a unique, hands-off program, designed to connect churches in the United States with God’s mission to serve the poor in the developing world. Imagine. Your members will Skype with Kenyans who have grown up living in extreme poverty. They will hear their stories and be inspired by how by how God has lifted them from the dust. 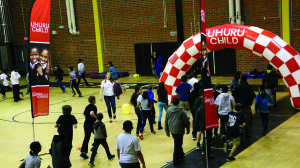 Then they will participate in a walk-a-thon fundraiser. Fifty percent of the donations stay within your church to support your local strategies. The remaining fifty percent of funds go to support Kenyan youth who have grown up living on less than $1.25 per day to go to school. As God begins to stir your congregation’s heart they can join a Kenyan service trip to experience God’s work among the poor. 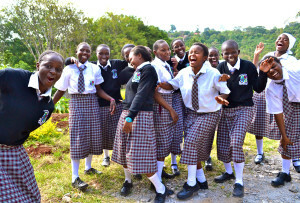 Through Skype sessions, Mission: Connect allows your congregation to build relationships with Kenyan youth who have grown up in extreme poverty and now attend Uhuru Academy. Many of these students are survivors of tribal warfare, live in tents or mud homes and work hard to gain access to a quality education. Through a video call, your members will hear personal testimonies of God’s redemption in Kenya and be able to likewise share how God is moving in your church. For many, traveling across the world for a mission trip may not be possible, so these Skype sessions become foundational in helping them personalize and emotionally connect with those living in the developing world. Ready for some fun! 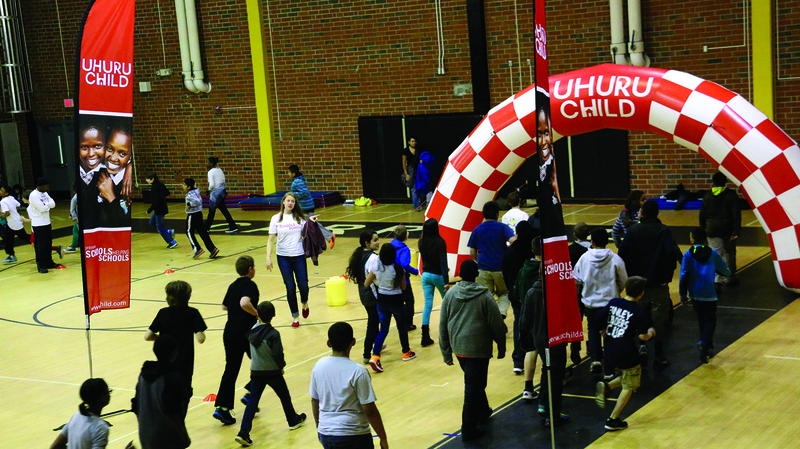 The Freedom Global staff will provide a hands off walk-a-thon fundraiser for your church. Just imagine: blow-up arches, flags, balloons, music… the works. Because many of the Kenyans that your congregation will Skype with grew up in villages, walking three miles each way to gather water in 50 pound jugs, we have created a fundraiser with this theme. Your members can participate in a walk-a-thon fundraiser where fifty percent of their donations stay within your church to support your local strategies. 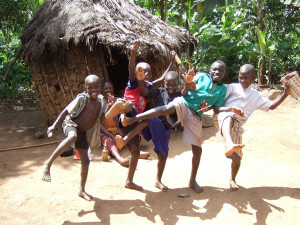 The remaining funds give an education to Kenyan youth who have grown up living on less than $1.25 per day. Freedom Global is a registered 501(c)3, so we can also do all of the receipting for this fundraiser. After Freedom Global’s Mission: Connect program is finished we want to offer your youth group the opportunity to continue building relationships with youth they sponsor in Kenya. They will enjoy emailing and writing letters with students at Uhuru Academy in Kenya. Our hope is that God will use the connections that your youth make during the Mission: Connect program to help build lifelong, Kingdom-building friendships! Our entire Mission: Connect program is designed to lead members of your congregation deeper into God’s work around the world. 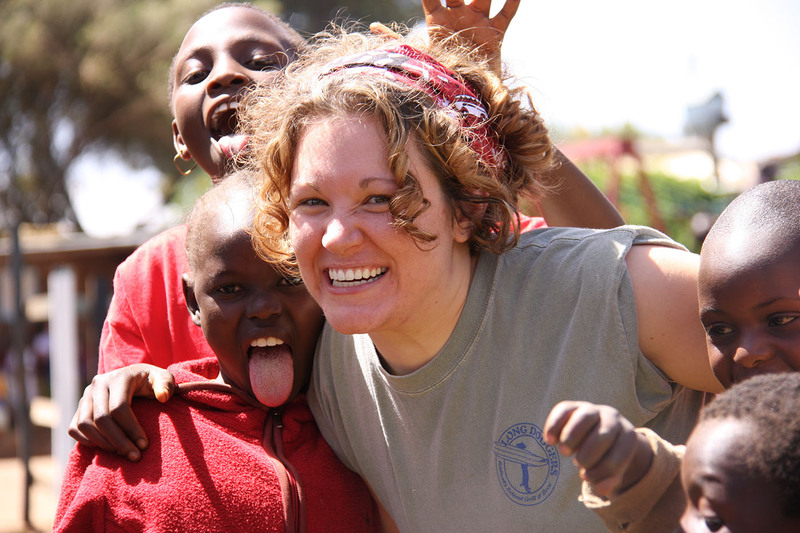 We offer six service trips to Kenya each year, in order to open as many opportunities as possible for your members to come and be part of how God is moving in the lives of those living in physical and spiritual poverty. Freedom Global will take care of all trip goer pre-trip preparations, travel logistics, and debrief sessions.